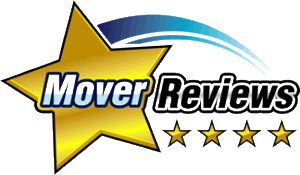 Moving Services - Moving Services Inc. | Moving Services Inc. In most cases, a local move is a move from city to city within a state or in a 50-mile radius from your present location. It is similar to an interstate move however it is rated entirely differently. The estimate with the “BINDING-NOT-TO- EXCEED” quoting is done, but instead of specified mileage and tariffs, it is coordinated with the hourly cost. Long distance moving is involved and intensive, and it requires a detailed plan with the proper long distance moving services to be executed properly. Planning and implementing a long distance move can be an extremely stressful experience. With a million things to do, the last thing you need is to struggle through the difficult process of choosing a dependable moving company. An industry leader in international relocation, freight forwarding, and moving and storage services, Moving Services, Inc. understands the amount of anxiety related to moving and we tailor each move to meet the unique needs of every customer. Every shipment whether by air, ground, or ocean is carefully planned, managed, and tracked from door to door. For efficient corporate relocation services that won’t halt your business’s productivity, trust in Moving Services, Inc. We are your corporate moving company that can relocate your business while maintaining your flow of commerce. Moving Services, Inc. has experience in relocating companies all over the country. We offer cost-effective, climate-controlled monthly storage for both personal and commercial valuables, with no limits. Items of all sizes are stored in wooden vaults.